Every user of iPhone 5/6/6S/7/7Plus/8/8Plus/X etc knows the importance of backing up data from time to time. For decades now, users have been using apps like iTunes and iCloud to backup and restore data. But now, after the fall of iTunes because of poor performance, that entire burden has fallen upon the iCloud app. But when it is time to restore iPhone from iCloud, users are still having a lot of trouble mainly because they are confused on the whole resetting part of their iPhones. So, to clear all confusions and to help everyone out, we are here with some solutions in this article. Part 1: How to Restore iCloud Backup from Old iPhone to New One? Part 2: How to Restore iPhone from iCloud with Resetting? Part 3: How to Restore iPhone from an iCloud Backup Selectively? Additional Tip: Restore from iCloud Backup Not Working? 1.Open your iPhone 7 and go to Settings. 2.Now, tap on the name of your account and go to iCloud. 3.Then tap on iCloud Backup to activate the feature. 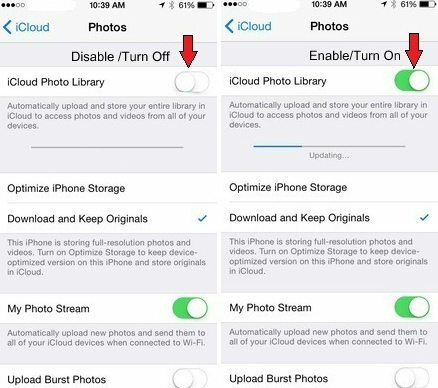 4.A message will pop-up asking you to start backing up data on iCloud. 5.You need to tap on "Okay". This was the first part of the procedure. The next phase of the procedure includes restoring that backup to the new iOS device or in this case the iPhone X. 1.Turn on the new iPhone and follow the setup procedure. 2.When you reach the "Apps & Data" screen, you need to stop and select "Restore from iCloud Backup". 3.Log-in to your own iCloud account and find the backup you want to restore. 4.Now, just follow the remaining procedure to complete the restore process. So, here's how to restore from iCloud. Now, all of your old data and settings are transferred to your brand new iPhone. 1.Open your iPhone and go to Settings. 3.Select the Reset option and tap on Erase All Content and Settings. 4.Now, provide your password and tap Erase iPhone. 5.Finally, when you reach the Apps & Data screen, you need to tap on Restore from iCloud Backup. 6.Now, just select the backup to restore. This is it! 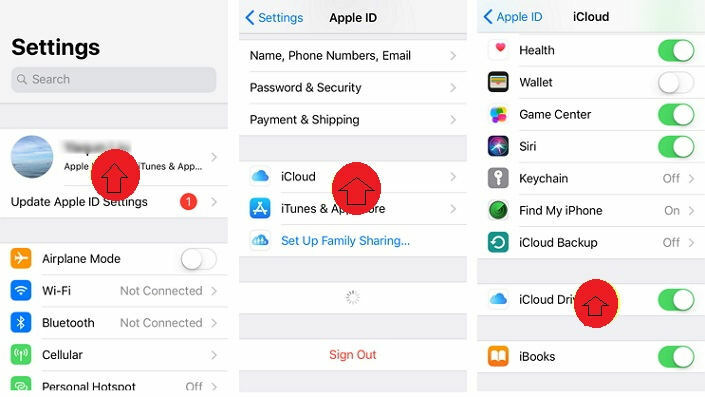 This way you can restore your iCloud backup on your iPhone by resetting your iPhone along the way. 1.Start by installing the UltData on your computer and then run it. After detection, select the "Recover from iCloud Backup file" option from the main menu. Then log-in to your iCloud account using the Apple ID. 2. After you have logged-in, all of your stored backup files will be available to you. Now, check all the backups and select the one you need. Then click on the "Next' button. 3. On the next window, you can select the required files you need to download from the backup. 4. Downloading will only take a few moments and after that UltData will start scanning the files. You can recover the files visible on the preview you can also select "Show only Deleted files" if you just want to recover the deleted files. 5. Finally, select the files you want to restore and click on the "Recovery" button and choose the destination. This way you can selectively restore files by using Tenorshare UltData. Preview available before restoring files. No need to reset the iOS device before the restoration process. Can restore from both iCloud and iTunes backup selectively. Overall, here are the best ways to restore your iPhone from iCloud backup. We highly recommend you to go for Tenorshare UltData in the first place itself. It is a professional data recovery tool and it will save you from a lot of hassles and most importantly you won't need to go through all the cumbersome steps while using Apple's very own official method. UltData is the best and offers great value in terms of overall effectiveness and workability. But to check, go to this webpage: http://www.apple.com/support/systemstatus/. If you find the status to be green, then the servers are running fine and the problem could be your own device's connectivity. So, as stated, just wait a few hours and then try again. It may resolve on its own. 2.Turn on Wi-Fi, if it was not turned on. Or simply check and do it again. 3.Finally, tap on the name of the Wi-Fi network you want to use. If you are having trouble to restore from iCloud backup then no need to panic or prepare to take your phone to the nearest Apple Store. First, you can provide a few local fixes of our own to check if the device is working fine. So, start by checking if you are using the latest version of iOS on your iPhone. If not then you need to update iOS immediately. Sometimes, certain glitches can creep up on the old iOS system and create related problems. So, it's better to look if any new update is available. First go to Settings, then General and then tap Software Update. If there is any new update, now it will initialize on its own. Simply, if all of the above has not been useful, then we highly recommend to immediately contact Apple support center for further assistance.